Whether you’re taking a plane to Paris, a bus to Bloemfontein, a train through Tokyo, a car to Cape Town or a motorbike through Mozambique, Cape Union Mart is the ultimate travel companion, stocking all the essentials for whatever trip you take. For the frequent flyer, there’s the K-Way Spinner 42L Roller (R999 available in-store and online). This spacious and highly durable travel bag has been designed with convenient travel in mind. It features four wheels for easy manoeuvring, a built-in scale so you can weigh your bag while on-the-go, a TSA lock with lockable zipper and a telescopic handle for easy steering. Best of all, it is carry on compliant. Students’ commutes are made that much easier with the K-Way Gradient 28L DayPack (R1,199 available in-store and online) since it has enough space to house their books, laptop, lunch, pens and pencils. Best of all, it has a rain cover to keep valuables dry in case of a downpour during a morning commute. The DayPack also has a waistbelt, sternum strap and compression straps for a snug, secure fit. When travelling to and from the office, workers will appreciate the K-Way Vision Laptop Bag (R1,299 available in-store only). This is the perfect on-the-go bag and has been designed to keep your things perfectly safe, protected and well organised. The K-Way Vision Laptop Bag features a padded laptop compartment, tablet pouch and a variety of storage compartments for all your travelling essentials. Trolley-compatible and weighing only 1.1kg, it comes with world renowned Okoban technology which allows you to track your bag in the event it ever goes missing. For those early morning trips, a Cape Union 500ml Work Flask (R199 available in-store and online) filled with coffee will be most welcome. It is capable of keeping beverages warm for up to eight hours and cold for up to 24, thanks to it being vacuum insulated and having a double wall stainless steel body. What’s more, the insulated lid doubles as a 200ml cup for convenient sipping. While time spent travelling can be tedious, your top tunes can make it tick by faster. The Volkano Impulse Over-Ear Headphones (R250 available in-store and online) lets you tune into FM radio or listen to your favourite sounds saved on a Micro SD Card. These Bluetooth wireless headphones come in red, white and black and deliver superior sound quality. To make the most of your journey, bring along the Red-E RC 10 Compact (R450 available in-store and online) to charge your devices while on the go. Its compact design means that you can keep it tucked away until you need it. With items like these, your commute will be covered. 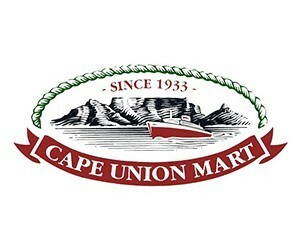 For more information, visit www.capeunionmart.co.za.